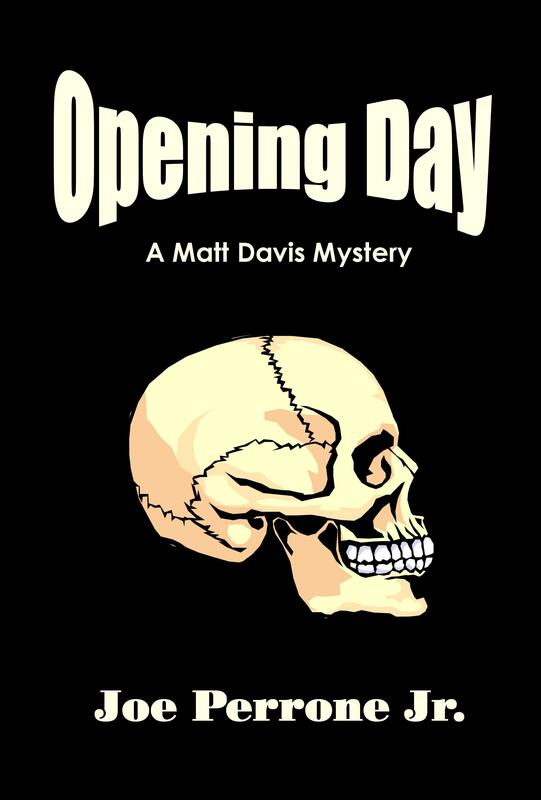 My latest book is Opening Day: A Matt Davis Mystery, which is the second in the series. A brief synopsis of the book Young girls are coming through a pastoral Upstate New York fishing village…but, they aren’t all coming out–alive! Following a close brush with death as an NYPD homicide detective, Matt Davis has taken early retirement, and accepted a position as Chief of Police in a small, rural Upstate New York village. While out fishing on his favorite stream, he stumbles across the remains of a body, barely recognizable as human, killed approximately six months earlier. With no physical evidence, no identification, and no clues, it’s up to Matt to not only find the murderer, but to discover the identity of the victim. The big question, however, is: are there others? What made you decide to write this book? Is it part of a series? Opening Day is the second in the Matt Davis Mystery Series. The first in the series was As The Twig Is Bent. The protagonist, Matt Davis, is an avid fly-fisherman, and while out fishing on the “opening day” of trout season, he comes across a dead body. Not always. My first book, Gone Fishin’ With Kids (How To Take Your Kid Fishing And Still Be Friends) was written in response to many requests I had for such a book when I owned a sporting goods store back in the ’90s. My book about divorce, A “Real” Man’s Guide To Divorce (First, you bend over and…) was the product of my own experience with the process, and served as somewhat of a catharsis after nearly 30 years. Currently, however, I am on a murder mystery binge, with my third Matt Davis Mystery, Twice Bitten, due to be published in November of this year. I started a literary novel about five years that I am itching to get back to, and that will probably be the next project to which I will attend, most likely after the new year. I’ve always loved to write, and started with poetry in elementary school. 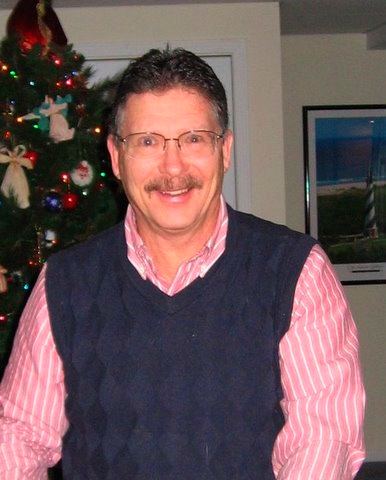 I continued writing short stories and poetry throughout high school and college, and had the good fortune to land a job as a sportswriter in 1969 with a major Metropolitan New Jersey newspaper. After that, I kept busy writing advertising copy freelance, writing feature articles for local newspapers, and fishing articles for magazines. It wasn’t until 1987 that I began work on Escaping Innocence (A Story of Awakening), which began as a memoir and quickly morphed into a coming of age novel. After at least four complete re-writes, I finally published it in 2008. In addition to my writing, I spent ten years as a professional fly fishing guide on the historic Beaverkill River in New York’s Catskill Mountains. Nearby Roscoe (“Trout Town USA”) serves as the setting for the second Matt Davis Mystery, Opening Day, and is a place to which I return as often as possible to fish my favorite waters. When I’m not writing, I’m usually fly fishing the local streams, here in Western North Carolina. I also enjoy cooking (and eating, of course), reading my Kindle, listening to music (anything but hard rock), car trips with my wife, Becky, and relaxing with my cats. My wife and I live in the mountains with our two Calico cats, Cassie and Callie. After knocking my head against the “publishing wall,” trying to obtain either a publisher or an agent (and coming very close twice) I finally decided to self-publish. Now, I not only publish my own work, but help others to self-publish, as well. To date, I have assisted in publishing at least a dozen books, in addition to my own. My website is www.joeperronejr.com, and I encourage readers to visit it, and to email me from it with comments and suggestions. I LOVE to hear from my readers. Something inside Rhonda snaps. She scrambles from the floor, grabs the open beer bottle, and using all her might, smashes it across Howie’s unprotected face. Glass, beer, and blood fly everywhere. Howie screams, but unlike before, when she burned his nose, this time there is an animal-like quality to his cry. He realizes he is hurt badly—and he is scared. Howie could not move if he wanted to, but he nods his head dumbly anyway, almost as if he agrees, while slowly his eyes begin to close. Then, he passes out. Back in the living room, Howie is beginning to wake, but is still helpless. Assured that he will live, Rhonda grabs her heavy winter coat, and heads out the door of the apartment, down the stairs, and out into the night. She has no idea where she is going, but the image of her grandparents keeps flashing in her mind’s eye. The night sky is cloudy and very dark, just like the future appears to be to the confused, frightened child running through the streets of Binghamton—running for her life. Rhonda is terrified. She knows Howie is badly injured, and she should get help. But, if she goes for assistance, she’ll probably get into all kinds of trouble for attacking her stepfather. On the other hand, if she doesn’t go for assistance, there is the chance that Howie might die. Good riddance. But, if he doesn’t die, he’ll get even with her if it’s the last thing he does; of that, she is certain. She doesn’t know what to do, so she decides to do the only thing that makes any sense. She runs into her bedroom, quickly packs some clothes into a small cardboard suitcase, and then rummages through her mother’s bureau until she finds some cash, stuffing it into the pocket of her jeans. Great interview by both of you. Joe, you’ve got a cool style going…love your writing. Well, thank you so much, “JLB.” I hope you’ll keep following me on my website. How interesting that you have such a varied range of books behind you. I was especially intrigued by your description of your publishing journey–from head-banging to self-pub guru. I wonder since your character is NYPD if you’re from the area? I’m teach a class for New York Writers Workshop on today’s publishing climate, and would love it if you wanted to come in and speak. I was raised in Brooklyn until the age of ten, at which point my family moved to New Jersey, where I lived all my life until moving to North Carolina about twelve years ago. I would be happy to speak to your class via Skype, if that is a possibility. Otherwise, I might be able to do it in the spring when I make my annual pilgrimage to fish the rivers in the Catskills. In any case, many thanks for the invitation. I’ll be doing a book signing for my new Matt Davis Mystery, Twice Bitten, on April 1, 2012 at the Catskill Fly Fishing Museum & Center, Livingston Manor, NY. Check with the Center for the exact time. Hope to see you there. Take a look on my website at: http://www.joeperronejr.com for more on Henry. Nice to hear from you, Evan. I talk to Bruce every once in a while. Hoping to see him in September when I attend River Dell 50th reunion. Hope all is well with you, too!!! Drop me an email from my website. Fascinating interview 🙂 Greetings from Australia! Thank you, Margaret. I just returned home from a day of fly fishing and saw your comment. G’dday! I hope you’ll follow my blog at http://www.joetheauthor.wordpress.com.